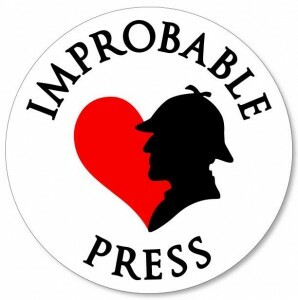 In both my contemporary and historical fiction set in Melbourne, I aim to include, where possible and appropriate, more details of Melbourne before white settlement. 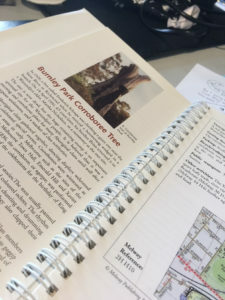 Sometimes this involves a bit of googling – most recently I’ve used a language map to check what language groups existed in and around Ballarat, for a story being submitted to a new anthology. For that same story I also wanted the Indigenous character to speak a few words in his own language – Wadawarrung. I was thrilled to discover in my searches an app! 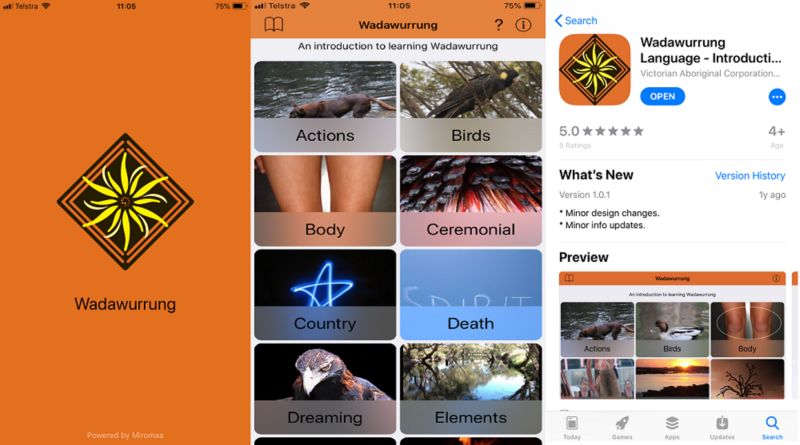 The Wadawurrung Language app is beautifully laid out. So much of the language has been lost, but this is an elegant and helpful introduction. 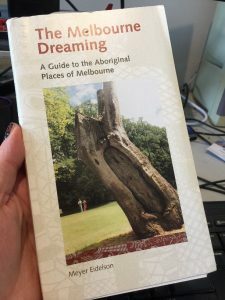 However, for a more comprehensive overview of Melbourne and its importance to the Kulin nations, I have The Melbourne Dreaming: A Guide to the Aboriginal Places of Melbourne by Meyer Eidelson. I have an old edition, but a new one was published in 2014. The Melbourne Dreaming tells the story of Aboriginal Melbourne around the Yarra River, Merri Creek, Port Phillip Bay, Maribyrnong River, Melbourne city and some places around, including Sunbury, Corinella and some locations hard to get to. Most entries are accompanied with a Melways map and reference so you can visit these places yourself. If you want to learn more about Australia’s pre-colonial heritage, and about the traditional custodians of this land, it’s a fantastic guide.